Ebony Henderson was born and raised in Charlotte, North Carolina. After graduating from high school she enrolled in college at The Art Institute of Charlotte. It was then, she began to recognize her purpose and destiny of becoming a creative designer of fashion. When she received her college degree she had no clue what to do, so she entered into the work field. Shortly after that the genesis of a beautiful family evolved when she was blessed with the love gift of a handsome baby boy. 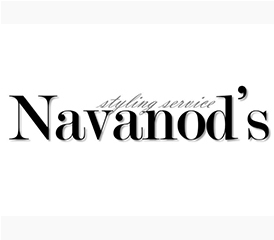 Since becoming a mother, she became the founder of Navanod’s Styling Service. You may have seen her featured in fashion events such as Charlotte Fashion Week or Passport Fashion. Her bold, new age retro styling is eye catching for the runway, yet appropriate for everyday wear. When she's not stopping traffic with her "it girl" fashion, Ebony is transforming someone's style and enjoying her family.